To ensure that the maize crop intended for silage reaches optimal quality, it is crucial to harvest it at the best time. 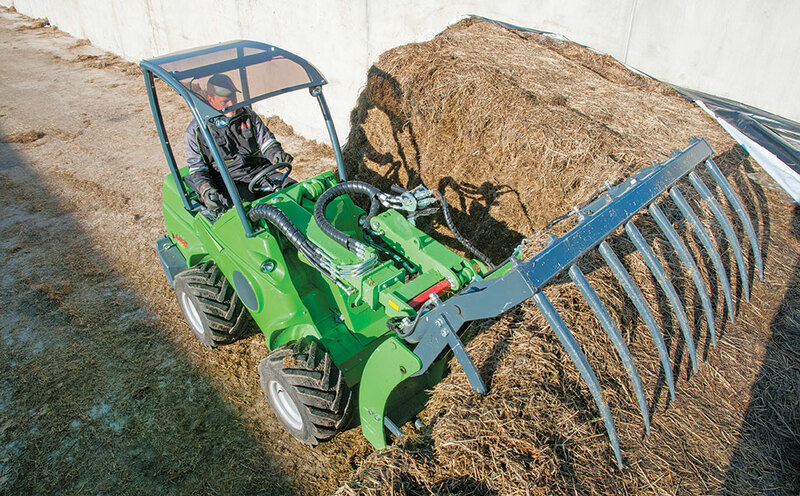 According to Pringle, there are three factors that affect final silage quality. The first is the environment, which is largely out of the manager’s control. It includes water, sunlight, heat, soil properties, pests and diseases. The second is the silage maize hybrid selected for production. Choosing the correct hybrid best suited to local conditions is crucial. This, according to Pringle, has the most influence on silage maize crop yield and quality. Management focuses on planting and cultural practices, crop maturity at harvest, and crop processing and ensiling, among others. Pringle stresses that no silage maize hybrid will perform optimally if not selected and used for the particular production conditions for which it was bred. This was shown by the Agricultural Research Council’s Eastern National Hybrid Trial for 2015, which found a 30% difference, on average, between the yields of the top-performing and lowest-performing maize grain hybrids of the 49 grown. “You need to ensure that the hybrid you’re planting has a track record of performance within your local environment,” explains Pringle. “A hybrid that’s up and down between seasons may not be the best choice. Consistent performance will indicate adaptation to the local climate. To ensure that the maize crop intended for silage reaches optimal quality, it is crucial to harvest it at the best time. The primary goal should be to maximise starch content. In the plant’s initial growth stage, development is centred on the stem and leaves. After this, tassels begin to appear and grain-fill of the cobs takes place over eight weeks. This is a critical period, because about 50% of the crop’s final DM accumulates then. The bulk of this DM accumulation is grain starch. Moreover, during this period the starch content of the maize grain changes as the plant matures. A 2004 to 2013 study of 2 200 samples of silage maize by Prof Joe Lauer of the University of Wisconsin in the US found that, on average, for every 1% increase in the DM of a maize crop, its starch content increased by 0,6%. Silage should be packed firmly in pits to reduce the oxygen content, thus reducing spoilage. However, the digestibility of the maturing silage maize crop’s neutral detergent fibre content stayed relatively stable, between 57,5% and 58,4%. A study conducted by Pringle of 14 silage maize samples in the Southern Cape dairying area found that the longer silage maize crops were given for cobs to fill, the more starch and DM the final maize silage contained. The top four silage maize samples were harvested at 35% to 40% DM content and averaged 28% starch content. The lowest four had at 20% to 29% DM content and averaged 24% starch content. Given the hectares involved in the study, if the low DM crops had been allowed to attain a DM of above 35% simply by delaying the harvest date, an extra 68t of starch in total would have been added to the fodder flow of these farming operations. Pringle points out that the ‘milk line’ – the colour difference between the soft and hard starch content of the maize kernels that can be seen on a cob snapped in two – can be used to determine starch content, and hence when the crop is ready for harvesting. For maximum starch, the crop should be ensiled only once the milk line is two-thirds of the way to the outer tips of the kernels on the majority of cobs sampled from the standing crop. This coincides with about 35% DM content of the crop. Ensiling a silage maize crop at a higher DM content requires care and good management. The material going into the silage pit must be compacted to remove as much air as possible before the pit is covered. Pringle advises incorporating a silage inoculant into the pit to accelerate the fermentation process and enable the material to preserve faster. He adds that with the advanced maturity of the kernels, it is important to ensure that the kernel cracker in the harvester breaks the kernels properly. He suggests that they be inspected regularly in the chopper wagons during harvesting. During fermentation and post-fermentation storage, the digestibility of the starch in the silage improves, influencing the quality of the final product. Fermentation in the silage pit should therefore continue for at least six months for maximum digestibility. Research has found that the increase in starch digestibility has a variable but general increase of approximately 1% per month of storage. Maize silage with a high DM percentage shows an even larger improvement in digestibility – up to 2,5% per month – with a longer ensiling period. “Everyone who makes silage goes through the same steps and processes of planting, growing, cutting and ensiling,” explains Pringle. Phone Grant Pringle on 071 678 1511 or email him at Pringle.pringle@pannar.co.za. Visit pannar.com.